A couple of weeks ago, Cathy, of the crazy-good-drawing blog Ziggyshortcrust, awarded me the Sunshine Award! 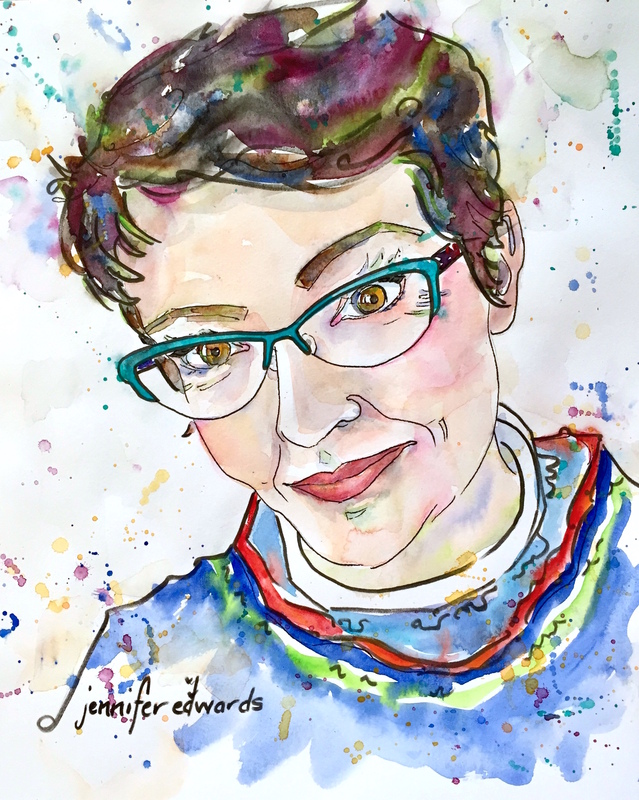 I am so tickled to be granted this blog award and it got me to thinkin’… Somebody gave me an award back in December, for which I remember being equally tickled to receive, but had neglected to acknowledge and pass on! Francina of Season’s Poetry had graciously awarded me The Versatile Blogger award. This was a real treat since she is an incredible poet and I felt honored to be listed among other painters and poets in her list of award winners. A heart-felt thank you to BOTH OF YOU for thinking of my little blog when giving out these lovely awards. 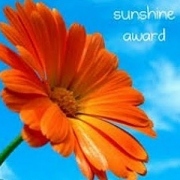 The Sunshine Award is awarded to “bloggers who positively and creatively inspire others”. This is one of the most wonderful compliments anyone could give me! My desire is to do exactly that: to positively and creatively inspire others to be creative! I imagine the Versatile Blogger award is just what it says: someone who has a versatile approach to blogging, perhaps creating in a variety of ways. Thank you Cathy and Francina…I’m humbled to be chosen. My favorite color is…lime green! My favorite drink is…coffee with cream and sugar! My favorite animal is… a sheep! (Collected them when I was little and I love knitting with their wool:). Facebook? or Twitter?… Facebook! Love connecting with friends…besides, many people link their Tweets to Facebook, so I get to enjoy the tweets there as well. Getting or Giving presents…Giving! Oh I do love receiving a present; but I love to give one even more, especially if I’m able to MAKE it! My Favorite day…today! I can’t do anything about the past except learn from it. I don’t want to fritter away today worrying about tomorrow (it will take care of itself). Today has been given to me to live to the fullest, to receive it with joy, to draw it in some way in my sketchbook. My Favorite flower… that’s a tough one, since I love so many! But I’d have to say roses! All colors, all kinds! My Passion… is to draw my life and encourage others to do so as well! Stew of StewCrotherArt. His digital art, pen and pencil work makes you wonder…how in the world did he do that? Cathy of Down a Dusty Lane. She creates beautiful and sensitive colored pencil works of her life…as well as other stuff. Hanneke of Hannekekoop. She creates marvelous illustrations of thought and story…her work is a real treat! Barbara of Drawing Breath. Her exquisite watercolors and sketches will have you doing just that: drawing your breath and holding it for a few seconds. Loveliness. Alex of Weekly Art Assignment. His versatility and expertise in portraiture, illustration, cartoon..well, just about everything will delight you for hours! Raena of Raena’s Sketch Journal. 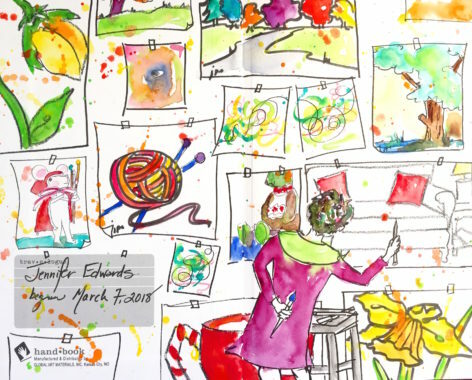 Her superb drawings and watercolors perfectly portray her life. This blog is a Must-Visit. Meegan Parkee of Scratchyas. Cruise around on all the sections of this artist’s website…you’ll have to pick your jaw up off the floor! Liz of Art, the Beautiful Metaphor. Her embroidered works on silk based on her original designs are exquisite. Chris of Chris Murray Art. Beautiful art and wonderful sketches make Chris’ blog a spot of heaven. 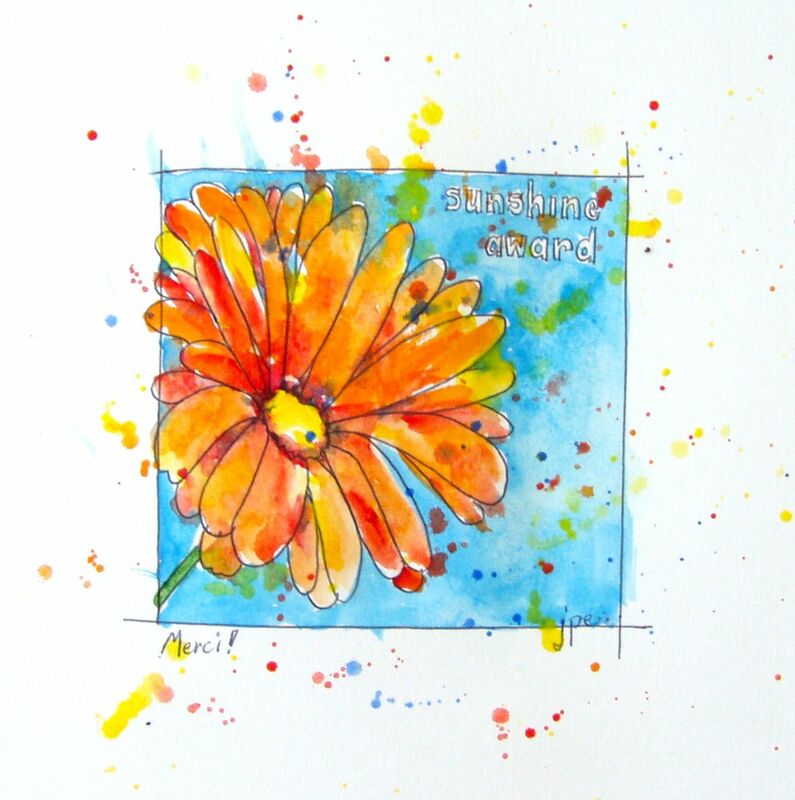 Deborah of Making a Splash… You can’t help but leave Deb’s blog with a smile on your face…happy, sunshine colors, joyful art! Ann of BlueBird Hill. 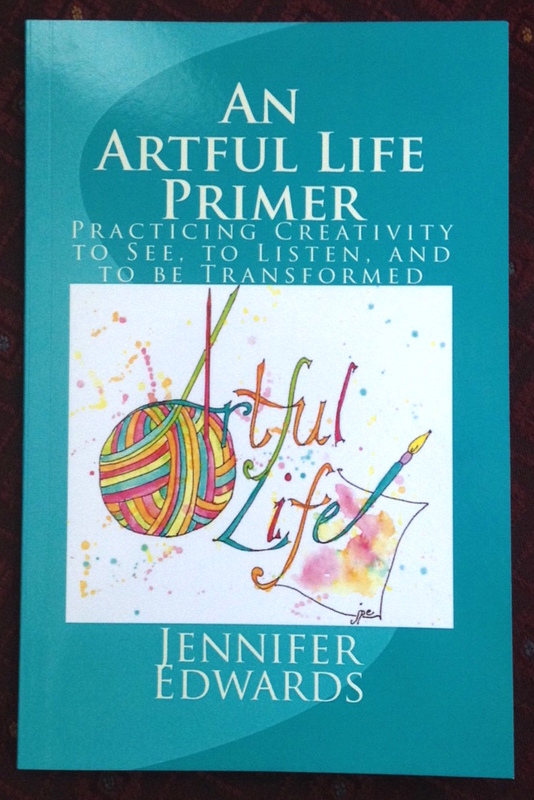 A fellow mountain girl who still lives there and paints her life in multi-mediums…gorgeous artwork. Carrie Holst of Portland Plein Air. A recent find…her watercolors of plein air excursions in and around Portland, Oregon are simply lovely. Sandra of Sandras Mixed Bag. 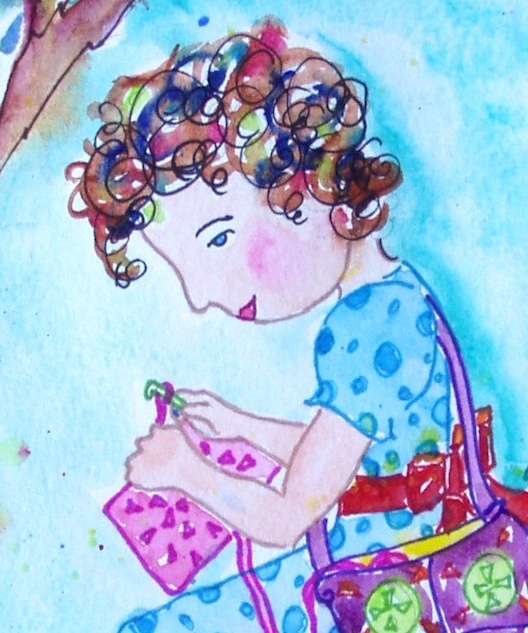 The header image of her blog says it all…she is truly proficient in NUMEROUS art forms! 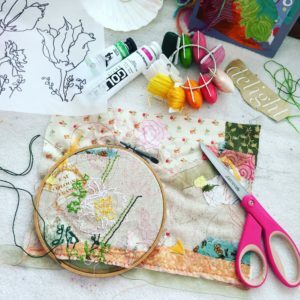 Go see what she might be stitching, drawing, mandala-ing, etc. Stacey of Creativesqueblog. 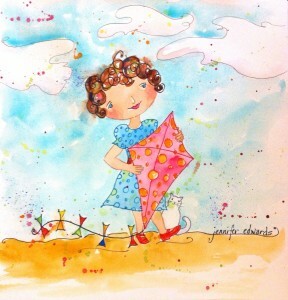 Stacey’s work is rich and colorful with a touch of whimsy. Be sure to check out her Etsy shop too! Dan of Dan’s Canvas. A Must-visit blog! Dan’s life (and blog) is, like the Danny Kaye quote in the header, a great big canvas on which he has beautifully thrown a lot of paint! Revelle of Imagemaker. Revelle’s artwork is the epitomy of versatile: fantastically realistic animals, wonderfully humerous illustration and everything in between! 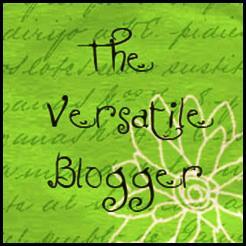 Add the Versatile Blogger Award picture on your blog post. 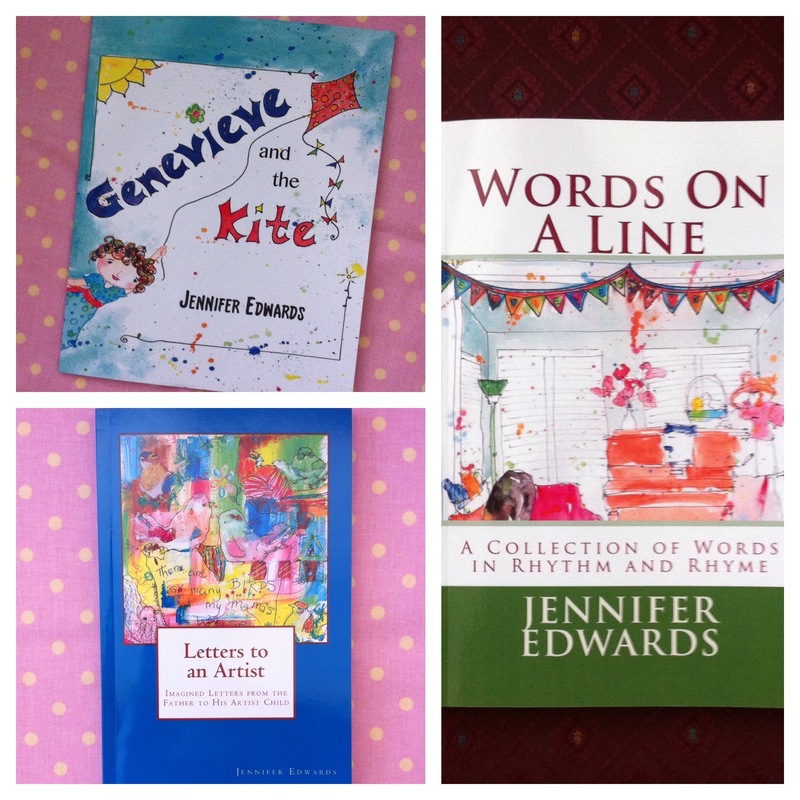 Thank you, thank you, Cathy and Francina, and to all who make a blogging a delight! P.S. Ok…so I chose 16…so I can’t count! But I’m not changing it! You all deserve both of these awards! Thank you Jennifer for choosing me to be included on your list for the awards, what an honour! I am in some amazing company! Thank you for the awards! you’re welcome Jennifer, and congratulation on the Sunshine award! a well deserved award because your drawings are like sun rays. Congrats Jennifer, you deserve them 🙂 . Thank you too for sharing so many (to me) “new” blogs and (the kind words) in nominating me. You are ALL so welcome…and SO deserving! Thanx from me too. What a surprise! I’m such a newbie on Word Press. Ahhh, you’re very sweet. Thanks for the honor. Why thank you very much! It’s going to be very difficult to choose fifteen people, who haven’t already been chosen! Congratulations, Jen, on receiving these awards. You certainly deserve it–your art brings lots of sunshine to my day! My favorite color is lime green, too! Creativity beautifully shared…well done, and well recognized! The hard part would be to not choose people who haven’t already been chosen. In fact, because people like yourself have such great blogs there is no way I couldn’t choose some people who have not already been chosen. Thank you so much Jennifer. And thank you for the kind words about my blog. Now I have to work out how to display these awards….Mmmm. You are most welcome Jennifer. Every post is a little ray of sunhine. And congratulations on your Versatile Blogger Award. wow, thanks jennifer. that’s so cool. this online community of artists have given me such a push with my art, i’m very thankful for you and everyone’s encouragement. AND thanks for giving me a few more blogs to check out, ie your nominations list. I’ve visited a few, but love to discover more new ones. Cheers! Hi Jennifer-just saw your comment about the awards. Thanks so much for thinking of me. Just changed my blog so I’m still working out the kinks but I be happy to pass it on and recognize more bloggers. Still catching up on all your posts-what a wonderful journey you are on.